Our innovative ThermaViz® Multi-Sensor System is integrated into multiple platforms and its universal compatibility provides users with a critical tool to manufacture components with consistent material properties. ThermaViz® Multi-Sensor System provides visualization and thermal measurement of additive manufacturing technologies, including melting, solidification and global heat flow. Our data analytic algorithms extract key temperature, dimensional, and stability metrics to assess process quality. Applications to metal and plastic printers include laser deposition, direct metal laser sintering (DMLS), and fused deposition modeling (FDM). Our sensing techniques, analysis, and correlation provide linkage between process parameters, microstructure, and material properties. 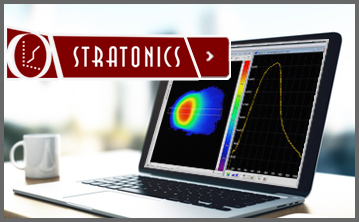 Stratonics’ engineering design and customized hardware provides collaborative sensor integration for global heat flow monitoring and direct or co-axial melt pool viewing. Product training and support of system applications accelerate the development of client solutions.